All teenagers are smart aleks. All boys are aggressive. All Donald Trump supporters are bigots. All Native Americans are persecuted. Based on these generalities, what conclusion would be reached if a picture was presented of a teenage boy, donning a “Make America Great Again” hat stood face to face with a senior citizen who is Native American? Obviously, the boy was making fun of the older gentlemen, and perhaps even taunting him, right? This was the message that flew through cyberspace a couple of weeks back when such an image was released. Facebook and the Twitter-verse lit up with scowls of hatred for this boy and his companions. Media ran with the story, showing the sorry state of American youth and the danger Trump-ism poses. Hollywood joined the chorus, with one notorious celebrity literally begging online for someone to release the names and addresses of these young men so that they could be shamed for their actions. The young men deny that the story is true; they claim (as video evidence demonstrates) that they were being heckled by another group and countered the insults by joining together in a school chant. When this happened, the Native American believed they were insulting his people and moved forward to begin pounding a drum as he and one of the young men stood face to face. Who is telling the truth? The answer to this question is not the point of this article. The danger demonstrated by this event is the ever-present tendency to jump to conclusions. Based on prejudices, many assumed the guilt of these young men without taking the proper time to research the situation. Even sadder was the reaction. It seemed no one initially asked if it was wise for a senior citizen to beat a drum in the face of a teenager. As well, no one reacted by saying what can we do to help these young men become better citizens. The immediate response for many was anger and calls for revenge. Sadly, even some Christians leant their voices to the fray with social media posts on the topic. Perhaps it is time for a history lesson. Long ago, a group of people thought another group of people was slipping into paganism. A large altar had been constructed which seemed to confirm the suspicions. There was talk of war; such pagan action would bring wrath on all the people and the “non-altar” group had no desire to suffer for the sins of the others. However, a remarkably unique idea was presented: “Before we fight, let’s talk.” The conversation that followed found that the conclusions drawn concerning the altar were wrong; in fact, the reason for the altar’s construction was to help later generations stay faithful. Words were spoken; reasons were accepted; peace prevailed! Most likely, the reader has already recognized this account that is found in Joshua 22. When the eastern tribes of Israel returned home to their landholdings, they feared that their children might one day be shunned by those on the west side of the Jordan as not being a part of God’s chosen people. For preventative measures, they constructed an altar, not for burnt offerings, but as a witness that they, too, were a part of God’s people. What could have easily resulted in a civil war instead resulted in a time of rejoicing. The text states, “The people of Israel blessed God and spoke no more of making war against them to destroy the land where the people of Reuben and the people of Gad were settled” (Joshua 22:33a ESV). Bully for godliness and civility! Christians must rise above such reactionary impulses as have been witnessed in recent weeks. Jesus stated, “Judge not that you be not judged. For with the judgment you pronounce, you will be judged, and with the measure you use it will be measured to you” (Matthew 7:1-2). Though this teaching is often used erroneously, the message must not be missed: beware of judging others in a way in which you would hate to be personally judged! Where there is smoke, there is not always fire; thus, how something may seem at first blush may very well turn out to be quite different. 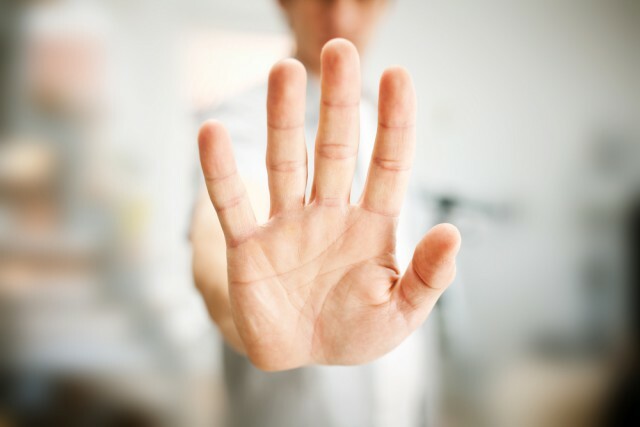 Before you comment on someone or someone’s situation…STOP! Before you hit the retweet or “like” button…STOP! Before you declare someone guilty…STOP! Backbiting and gossip are egregious sins in the eyes of the Lord. And if the situation is true…STOP! Before speaking or tweeting or instagramming or whatever platform may be used, first ask if your participation in this will result in good. When Paul wrote to the Philippians, he stated, “Let each of you look not only to his own interests, but also to the interests of others” (Philippians 2:4). Looking out for the interests of others means seeking their betterment; it means loving them like you love yourself (see Matthew 22:39); it means believing the best about someone until forced to do otherwise; it means helping someone in hard times rather than piling on more problems; it means loving them with a Christ-like love. Anything less falls far short of the standard given by the Lord. Time will soon forget the incident on the streets of Washington D.C. involving a group of boys and a Native American; they, however, will long remember the treatment received. May each child of God realize the impact that a few words may have for good or for bad. May each remember that actions and reactions will have eternal consequences.